At GDC, I caught up with Dave Gilbert of Wadjet Eye Games. That name might sound familiar, as we were big fans of Primordia, which they published. This time, we talked about the new Blackwell series game, their app game Gemini Rue, and how much of an amazing woman Dave’s wife is. 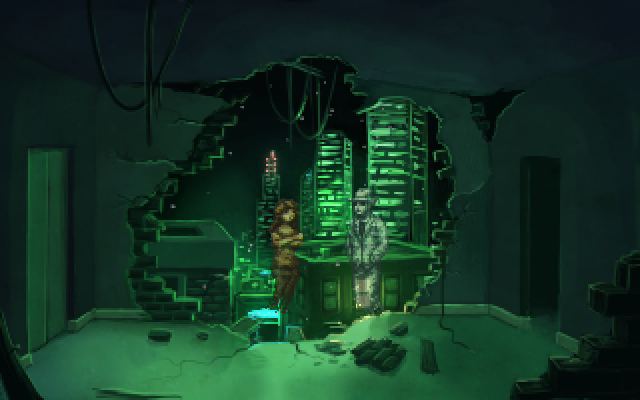 The Blackwell Epiphany is the newest game in the Blackwell series, which follows Rosa, the medium, and her ghost partner Joey on their longest and darkest journey yet. Gilbert said he thinks the series has been progressively getting more and more complex, so the darker nature of the latest installment makes sense. “A dead man’s soul cries out against the force of a ferocious blizzard. He cries for help. He cries for answers. Then he screams as he is torn apart like damp tissue paper. The police are powerless to stop it, so the duty falls to the only who can. What force could be so powerful – and so malevolent – that it would destroy the very core of a life in order to get what it wants? For fans of the series, you’ll be happy to know that Abe Goldfarb and Rebecca Whittaker both return to voice Joey and Rosa. The last estimated release I saw for the game was fall 2013. 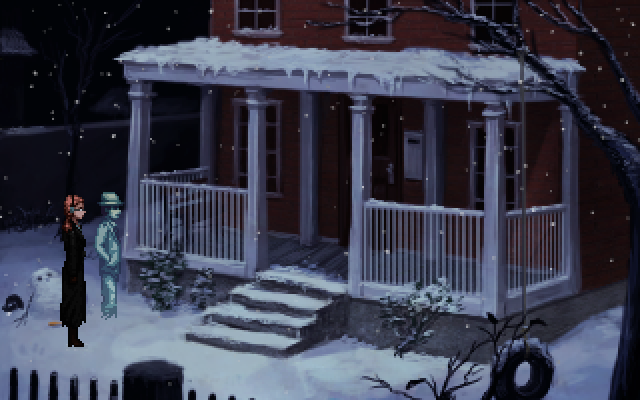 In the course of learning about Gemini Rue and The Blackwell Epiphany, I also learned more about the team behind the games. Apparently, Gilbert’s wife is a driving force, porting Gemini Rue over to iOS while six months pregnant! “My wife is more on the tech side and I’m more on the writing side,” said Gilbert. So what is this Gemini Rue that she worked so hard on? 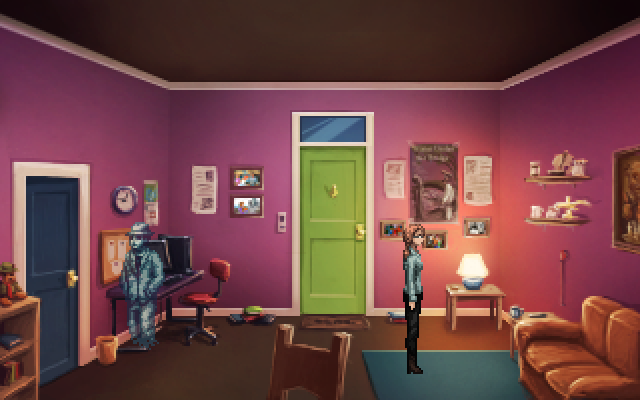 Gemini Rue is a point-and-click adventure game that launched on PC in 2011. Thanks to Gilbert’s wife, it will come to iOS on April 11 for $4.99. “Azriel Odin, an ex-assassin, arrives on the rain-drenched planet of Barracus. When things go horribly wrong, he can only seek help from the very criminals he used to work for. Sounds pretty heavy for an iOS game! I can’t wait to check out the new port!